It's debut time once more in the hallowed pages of The Two Sheds Review, and this time around it's the turn of Britain's New Generation Wrestling, a company that's based in the north of England and has been around since 2008. Our first viewing sees us going back in time to November 2012 and a show featuring several British stars who have made regular appearances in these reviews, as well as a former TNA Knockout. The DVD in question is Ultimate Showdown. The show began with singles action as American star Sam Adonis went up against Colossus Kennedy. Before the match began Adonis took to the microphone and undertook the time honoured tradition of insulting the locals, particularly the children. As for the match itself it was a pretty short encounter, and if I'm to be perfectly honest it didn't exactly set my pulse racing. I was expecting this to be a power versus speed kind of battle but what we got instead was Adonis trying to match power with the big man, and although he took him down a couple of times more often than not he failed with his chosen tactic. Kennedy, a man I've been greatly impressed with in the past, looked okay, but this wasn't the best match I've seen this monster in. As for the end Adonis' slide towards defeat began when Kennedy took him out with an avalanche in the corner followed by a running shoulder block for the winning pin. Ladies action followed as German star Alpha Female faced former TNA Knockouts Champion Angelina Love. Alpha is one of those wrestlers I've heard a great deal about over the past couple of years, and now that I've seen her in action for the first time I can see that most of what I've heard is justified. Love had some luck early on as she used her speed to good effect, but it wasn't long before Alpha's tremendous power came into play as she tossed Love around the ring like a discarded Barbie Doll. From there she applied a couple of power submissions, including a bear hug. Love looked like she was going to falter at one point until she managed to escape from Alpha's clutches, but despite a valiant effort the big woman soon took her down with a two-hand choke bomb for the winning pin. Next up was an NGW Academy match between Lucas Steel and Ricky Halestorm. That was the plan anyway. Just as they were about to lock up Kaz Crash and his buddies from the Proven faction stormed the ring and took the trainees out. Crash then grabbed the microphone and voiced his displeasure that trainees were on the card and he wasn't. Normal service resumed with Nathan Cruz, accompanied by Melanie Price and his water boy, taking on Robbie Dynamite. Those of you with long memories may remember Dynamite, a long-time regular with Brian Dixon's All-Star Wrestling, when he competed as part of Team UK against Team Mexico for TNA's World X Cup a few years ago. Now when I saw the participants of this match I have to admit that I was really looking forward to seeing this one, and although it featured quite a bit of great action it was let down somewhat by a few little things. It began with Dynamite tying Cruz up in knots before the Showstealer worked his way back into the match. From there Cruz went on to dominate the action with Dynamite making brief comebacks. But as the match went on little errors began to creep into the exchanges. Dynamite's DDT on the ring apron looked quite sloppy, especially considering that Cruz's head was nowhere near the mat when the move was executed. Things got slightly worse at the end though. Dynamite tried to come off the top rope but found himself stopped by Price. Cruz soon joined him up there, and as the three of them struggled to take control it looked like an inadvertent low blow from Price gave Dynamite the chance he was looking for. But just when he was about to take Cruz down with what the commentators said was a top rope powerbomb Cruz went crashing down onto the ring apron. Dynamite then jumped down to the mat and pulled Cruz back into the ring for the cover and the three count. Cruz wasn't too badly hurt though. After the match he confronted Price, blaming her for his loss before pushing her down to the mat. His former agent Richie West then appeared on the stage. West threatened to have Cruz banned from working in Britain if he failed to turn up for his match with Colossus Kennedy at the next show. Then it was on to the first title match of the evening as the Los Amigos team of El Ligero and Dara Diablo challenged Team GB, Zack Diamond Gibson and Sam Bailey, for the Tag Team titles. Now this was pretty entertaining. It began with the always impressive Ligero taking down his opponents with a variety of moves, but when Diablo tagged in it wasn't long before Gibson and Bailey gave him the punching bag treatment. These two looked pretty good as a unit as they kept Diablo away from his masked partner. But when Diablo finally managed to make it back to his corner for the hot tag it signalled the start of the mass brawl and another fine sequence of moves. It looked like the Mexican boys could regain the gold, but when Bailey clobbered Diablo with one of the title belts the referee called for the bell immediately, giving Los Amigos the disqualification win, but not the titles. Afterwards Bailey and Gibson tried to taunt Ligero as he stood at ringside. A brief skirmish followed as Ligero tried to introduce a ladder into the equation before the champs headed for the hills. Then it was back to singles action as Joseph Conners took on Matt Myers. Although this was another short encounter they certainly packed a lot of back and forth action. Myers looked good early on as he used his speed to good effect, but the straightforward, no nonsense approach of Conners saw him take control a few moments later. As the pace moved up a notch or two Myers began to work his way back into the match as both men brought out their main weapons. None of these were successful though until Myers connected with a shining wizard for the winning pin. The main event saw Stixx challenging Rampage Brown for the NGW title. Now if you were hoping that this match would be a technical classic then you'd be bitterly disappointed, because what we had here were two big powerful guys beating the proverbial out of each other in what was a very effective and very entertaining encounter. They began their big fight at ringside just after Brown made his entrance. Their brawl took them through the crowd and around the all before they eventually made it to the ring so they could officially start the match. From there they knocked seven bells out of each other with a variety of powerful moves as both men came close to getting the win. It looked like it could go either way, but when Stixx accidentally speared the referee Brown went for a Samoan drop. But when he covered Stixx there was no official to make the count. It was then that Brown tried to introduce Stixx's chain into the match. The Heavyweight House of Pain stopped him from using it was a weapon before countering Brown to take him down with a Samoan drop right on the chain. But with the referee still down Stixx lost his chance to win the title. A second official then appeared on the scene, and after some more high impact moves from both men Brown countered Stixx's top rope superplex and came down with a powerslam for the title retaining pin. In conclusion - as is customary when I review a company for the first time there's several things to go through. Firstly, the matches. I kind of have mixed feelings about the action here. The majority of it was okay, but some of the action just failed to please, with the Adonis/Kennedy match a good example of this. Production-wise it was okay, about what you'd expect from a company of this size. The commentary team of Luke Ingemells and James McGeechy also fit into the okay bracket, although I get the feeling that if any of my American readers brought this they may have a little trouble understanding their northern accents. As for my match of the night before I even saw this show I got the feeling that Nathan Cruz and Robbie Dynamite could steal the show. Sadly that didn't happen, so the no-prize this time around goes to the hard hitting Stixx and Rampage Brown with their simple but effective formula. So with all of that out of that out of the way there's just one thing left to do, and that's to give NGW Ultimate Showdown the thumbs up, but with a could do better comment tacked on to the end. With thanks to the powers that be for supplying a copy of this release. 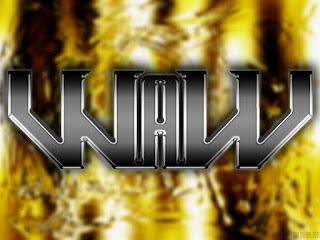 NGW Ultimate Showdown is available to buy online at www.hullwrestling.com.